I have had this crazy desire for the longest of time to get myself a few Too Faced bits. Finally that time has come and I've now got the cutest of bits. 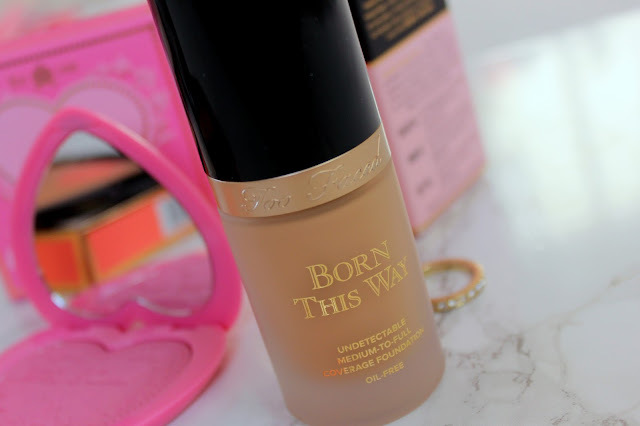 Too Faced's most iconic piece has to be their 'Born This Way' foundation, so I had to give it a try. I got the shade sand which I'm actually very intrigued to see how this shade goes on my skin because my 'at the minute' favourite foundation from L'Oreal is in sand. 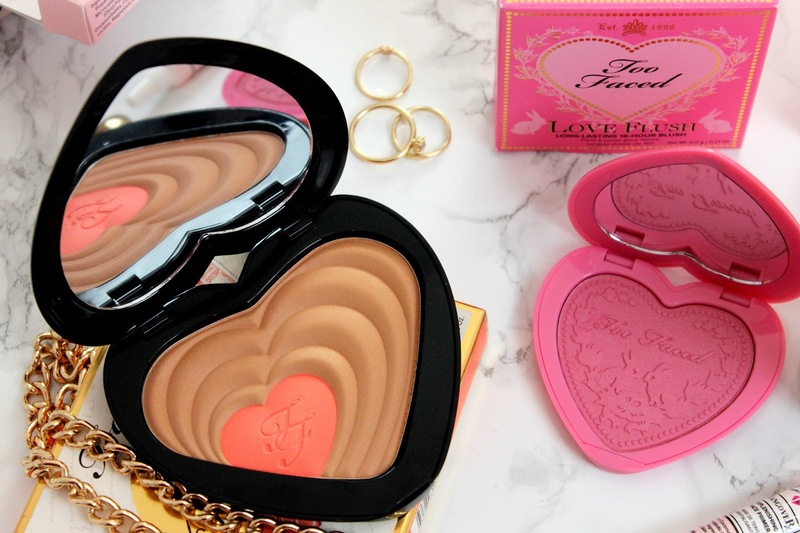 The packaging for this foundation is so pretty, it looks perfect on my white vanity. 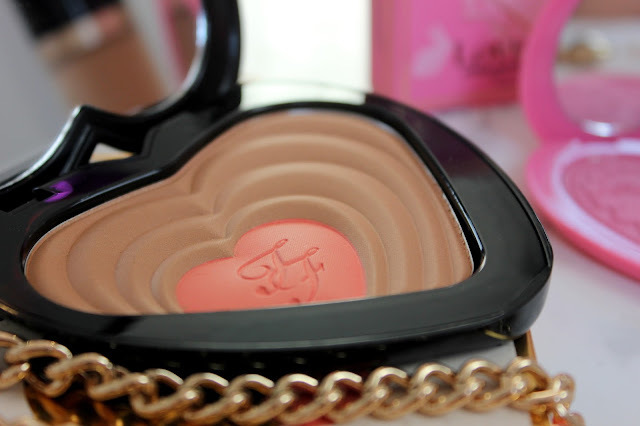 I also got their new 'Blushing Bronzer' in the shade Carrie & Big. 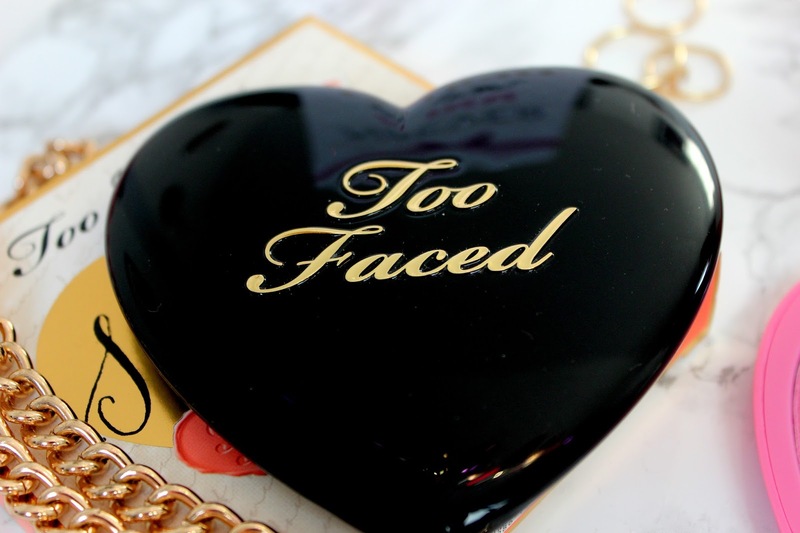 I'm so excited for this because the black glossy heart packaging is extremely girly but sophisticated at the same time. 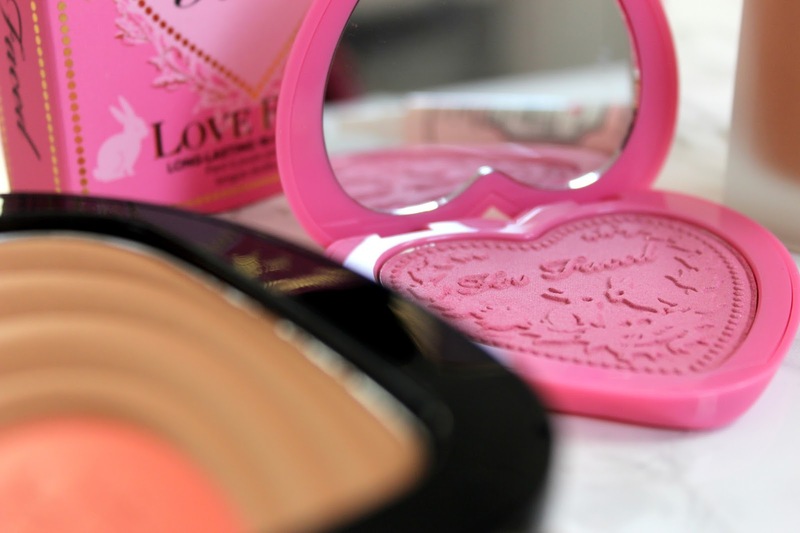 I'm loving the blush shade as I like my blush to be fairly muted in a peach, coral, or salmon shade. 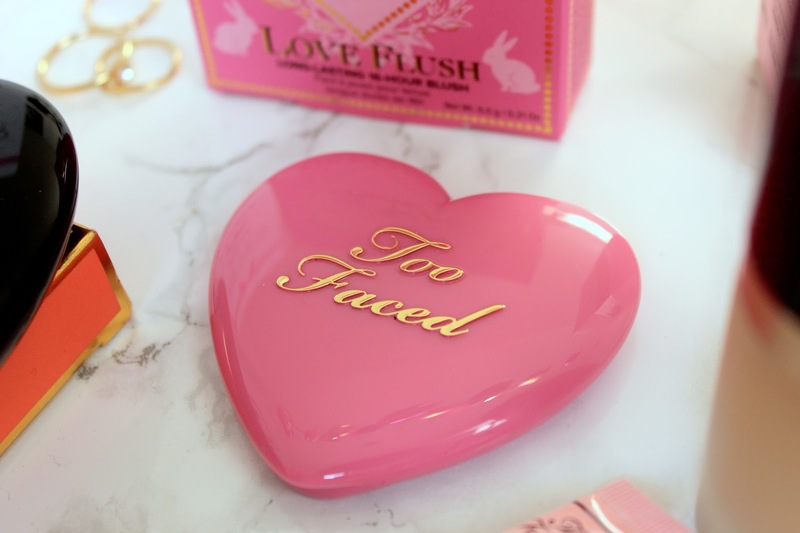 Another really pretty piece I got was their 'Love Flush Blush' which looks super sweet and girly in its pink glossy heart packaging. This is in the shade Justify My Love which I'm really looking forward to trying as it's a pink, slightly mauve shade which as I mentioned I don't typically go for on my cheeks but I'm intrigued to see how this one is. 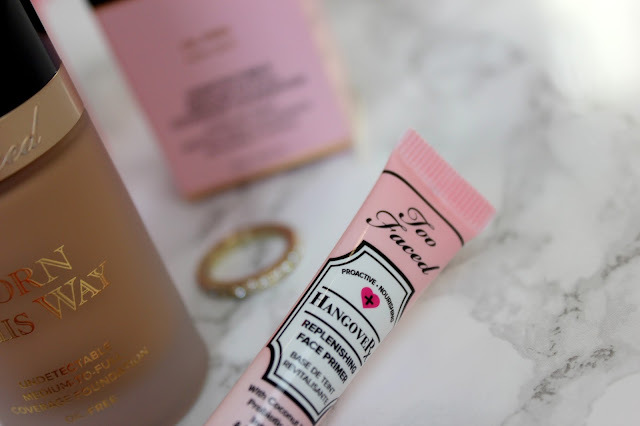 I also have their 'Hangover RX replenishing face primer' which I think is in a really cute pink and white packaging also. I don't tend to apply a primer before my foundation (just moisturiser) so I'm curious to see what the difference is and how it may help my skin. It mentions that it is silicone free and has coconut water in it which I've heard it really good for the skin and clearing you out. So I'm looking forward to testing this out. 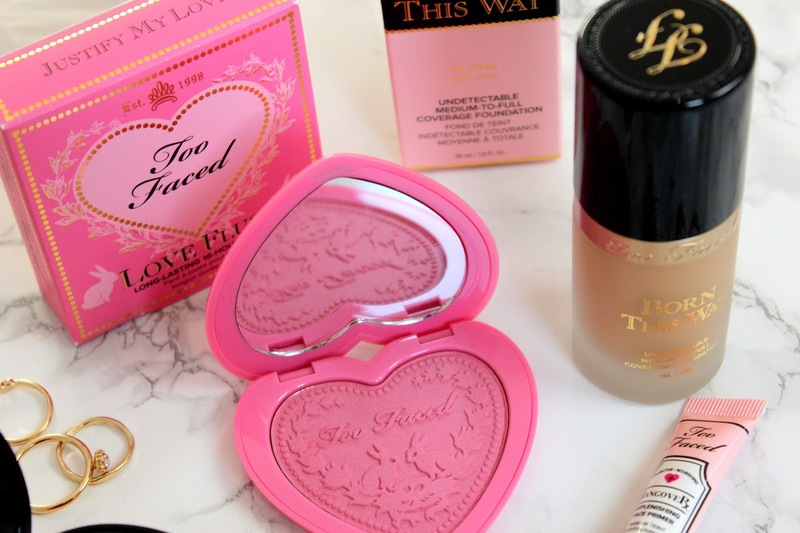 I hope you like this CUTE haul, here's a little video for you.